Supreme Court justice Lord Sumption has championed studying a non-law discipline over law at undergraduate degree level. In an interview in this month’s Counsel Magazine, the Supreme Court justice had bold words of advice to share with budding lawyers. “Don’t read law if you are going to practise it and can afford the slightly longer route to qualification. Get a broad culture if you can,” he said. But it’s not just history degrees that the former commercial barrister rates. Sumption also commends other non-law subjects: “Classics, for example. Or economics. Languages are another extremely valuable training. A command of words helps. It is partly a literary skill. You have to hold the court’s attention,” he says. Converting to law — via the Graduate Diploma in Law (GDL) — can be a costly venture, and with undergraduate tuition fees now at £9,000 a year it may seem as if this route into law is reserved for those with money. But for students persuaded by the top judge’s pearls of wisdom, there are funding options available. One such route would be to secure a training contract with a corporate law firm who cover the cost of GDL course fees and also often set you up with a maintenance grant. There are also Inns of Court GDL scholarships available for students looking to pursue this route and become barristers. 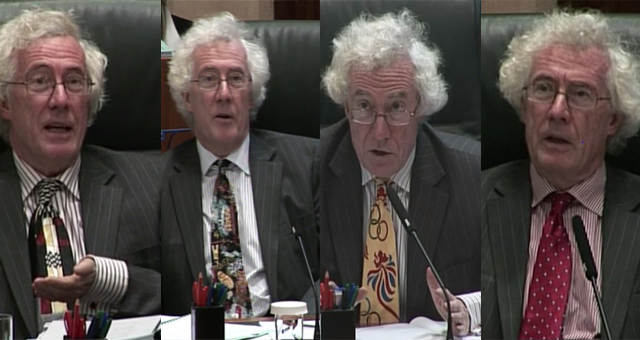 Sumption is widely known for his wacky hairdo, snazzy selection of ties and ‘Brain of Britain’ nickname (he’s about to release the fifth volume to a five-part history of the Hundred Years War, which he penned alongside his judiciary duties). Prior to becoming a barrister, the old Etonian was an academic fellow at Oxford. He later switched to law and went on to practise at magic circle set Brick Court Chambers. Sumption will retire from the Supreme Court at the end of the year. The post To become a lawyer don’t study law, says Supreme Court’s Lord Sumption — do history, classics, economics or languages instead appeared first on Legal Cheek.